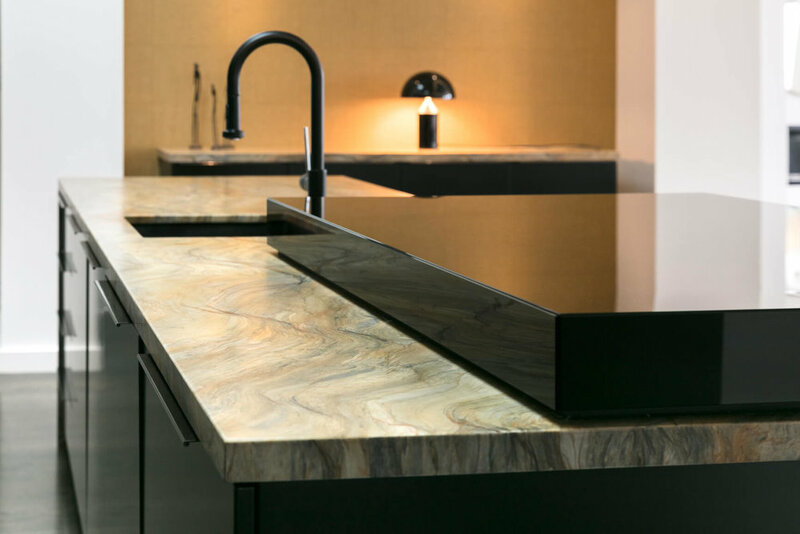 Subtly or boldly edged with stainless steel or aluminium, our leading glass technology has redefined the look of cupboards, drawers and bench tops. 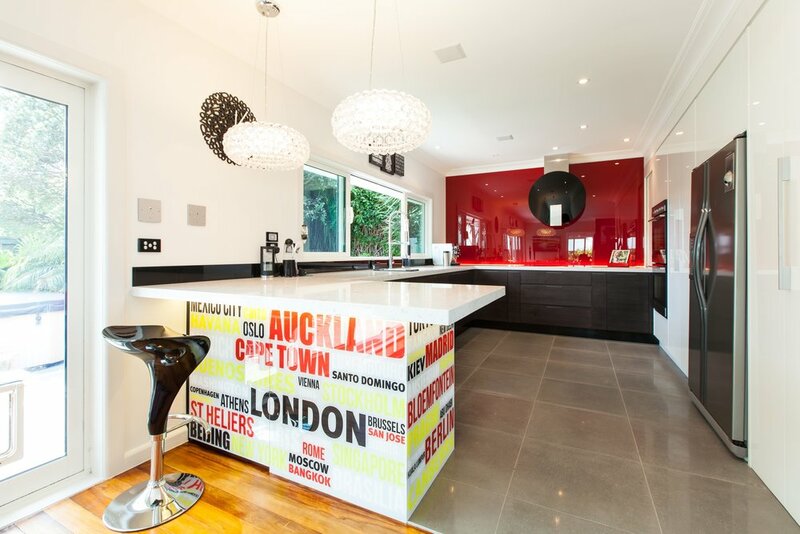 With the use of glass splashbacks becoming almost universal, interior designers and savvy home owners saw a new opportunity. They applied the design freedom and durability of printed or back-painted glass to cupboard doors, drawer fronts and bench tops. An exciting new era began in the design of kitchens, bathrooms, wardrobes and laundries. In the commercial world, Image Glass fixtures bought a new elegance to design-conscious hotels, showrooms, offices, boardrooms and more. 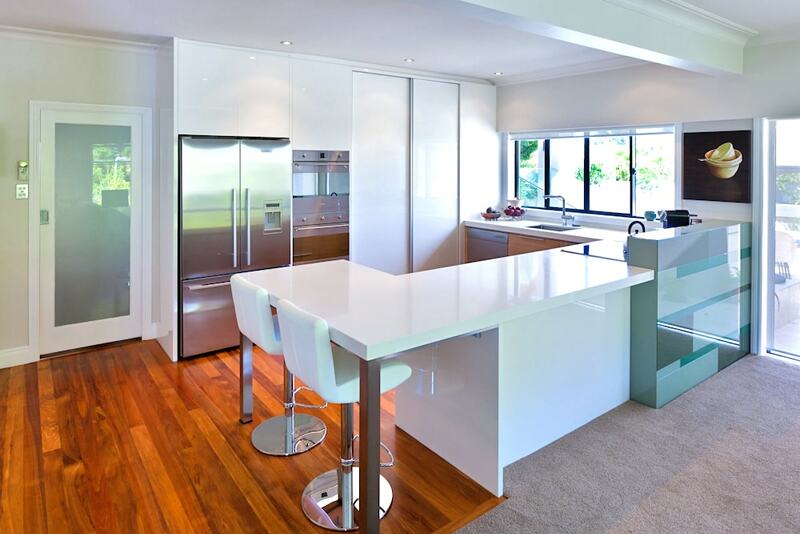 Our extensive range of glass coatings gives you complete freedom over the look of your fixtures and fittings. 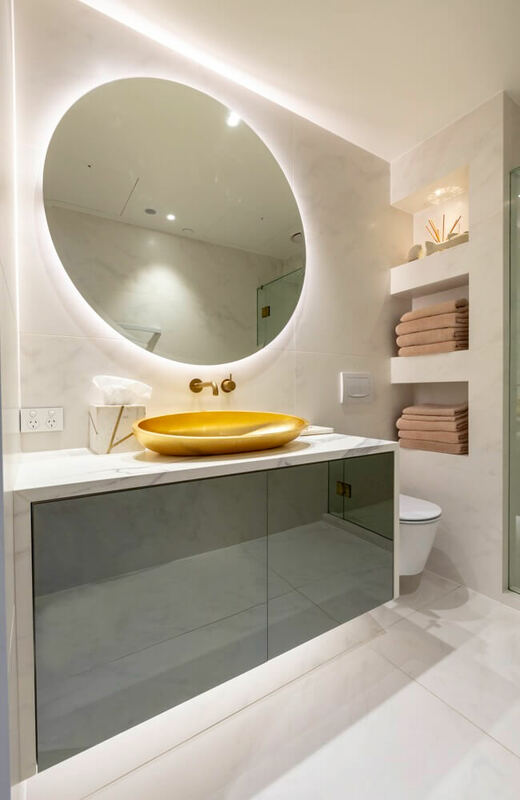 With Image Glass, cupboard doors, drawers, cabinets and bench tops can be sandblasted, frosted, laminated, mirror finished, back-painted in any colour, or directly printed with an image of your choice. You'll love the design freedom. From precise measurement and computer-controlled cutting to the application of your chosen finish, we're with you every step of the way. We do the work ourselves, which ensures direct quality control. Whatever you decide to do, you can be sure of the quality. The images we print onto glass come with a five-year guarantee against delamination and fading and our painted products have a 20-year guarantee against delamination and fading.